As discussed in my earlier posts here and here, Ontario’s new budget bill contains quite a number of measures related to digital, data and privacy issues. In this third post I look at the proposed new statute that will balance privacy with the openness of provincial tribunal adjudicative records. This new statute responds to the decision in Toronto Star v. AG Ontario, discussed in an earlier post here, in which Justice Morgan of the Ontario Supreme Court ruled that Ontario’s Freedom of Information and Protection of Privacy Act (FIPPA) breached the right to freedom of expression under s. 2(b) of the Canadian Charter of Rights and Freedoms. It did so because of the way in which it applied to administrative tribunals in respect of requests for access to their adjudicative records. Some tribunals to which FIPPA applied required those seeking access to adjudicative records to file access to information requests. What breached the Charter right was the presumption in FIPPA that personal information could not be disclosed unless one of the statutory exceptions applied. This was found to clash with the open courts principle. Justice Morgan suspended the declaration of invalidity of the legislation for one year in order to give the government time to fix the problem. The year is up later this month; it is therefore not surprising that this legislative change has found its way into the omnibus bill. The Tribunal Adjudicative Records Act, 2019 provides, as a default principle, that the adjudicative records of tribunals prescribed by regulations enacted under this statute are to be made available to the public (s. 2(1)). The definition of adjudicative records in s. 1(2) is quite broad and includes transcripts of oral evidence, documents admitted in evidence, and reasons for decision. Adjudicative records expressly do not include personal notes or draft decisions, or records related to attempts to resolve matters through alternative dispute resolution procedures. 2(3)(b) intimate financial or personal matters or other matters contained in the record are of such a nature that the public interest or the interest of a person served by avoiding disclosure outweighs the desirability of adhering to the principle that the record be available to the public. A confidentiality order may be applied for by a party to the proceedings or by a person who would be affected by the disclosure of the information at issue (s. 2(3)). Section 3(1) gives tribunals the authority to make rules governing their own procedures relating to providing access or issuing confidentiality orders. Under s. 4, tribunals are, with ministerial permission, entitled to charge fees for access to their adjudicative records. The new statute also provides for consequential amendments to FIPPA that will exclude the application of that statute to “personal notes, draft decisions, draft orders and communications related to draft decisions or draft orders that are created by or for a person who is acting in a quasi-judicial capacity. It also excludes the application of FIPPA to adjudicative records covered by the new statute. This new statute resolves the constitutional issues at the heart of the Toronto Star decision. It does not, however, resolve other issues related to privacy and administrative tribunal decisions that have long been the subject of debate and discussion. In a recent Ontario case, for example, the personal information of third parties to a matter before the Ontario Human Rights Tribunal ended up in the tribunal’s decision. While the new Tribunal Adjudicative Records Act will allow third parties to apply for confidentiality orders, it is not clear how such individuals will know in advance that their personal information might be published. Further, many administrative tribunals deal with highly sensitive matters involving personal health or financial information. While they are urged to take privacy into account in the drafting of their decisions and in the amount of personal information shared, the trend towards providing broader access through online publication of decisions is leading to greater privacy risks for individuals that may not be properly balanced against the open courts principle. It would have been good to see in this new statute some recognition of the importance of these issues. Administrative tribunals are not courts, and government would not unduly interfere with their independence by stating in law that the disclosure of personal information should be minimized to only that which is clearly necessary to explain the reasons for decision, or by limiting the disclosure of some personal information in versions of decisions published online. The report of an investigator for Ontario’s Office of the Information and Privacy Commissioner (OIPC) into personal information contained within a published tribunal decision adds to the debate around how to balance individual privacy with the open courts principle. In this case (Privacy Complaint No. PC17-9), the respondent is the Ontario Human Rights Tribunal (OHRT), established under the Ontario Human Rights Code. The OHRT often hears matters involving highly sensitive personal information. Where an adjudicator considers it relevant to their decision, they may include this information in their written reasons. Although a party may request that the decision be anonymized to protect their personal information, OHRT adjudicators have been sparing in granting requests for anonymization, citing the importance of the open courts principle. Since the OHRT is a public body, and the information at issue was personal information, the OIPC complainant argued that the OHRT had breached the province’s Freedom of Information and Protection of Privacy Act (FIPPA) by publishing this information in its decision. For its part, the OHRT argued that the information was exempted from the application of FIPPA under s. 37 of that Act because it was “personal information that is maintained for the purpose of creating a record that is available to the general public”. It argued that it has an adjudicative mandate under the Human Rights Code and that the Statutory Powers Procedures Act (SPPA) permits it to determine its own practices and procedures. Although neither the OHRC nor the SPPA address the publication of decisions, the OHRT had decided that as a matter of practice, its decisions would be published, including on the public legal information website CanLII. The OHRT also argued that its proceedings were subject to the open courts principle. This argument was supported by the recent Ontario Superior Court decision (discussed here) which confirmed that the open courts principle applied to the decisions of statutory tribunals. The investigator agreed with the OHRT. She observed that “[o]penness at tribunals tends to improve the quality of testimony and for that reason is conducive to the pursuit of truth in adjudicative proceedings.” (at para 56). She noted as well that the other elements of the open courts principle, including “oversight of decision-makers, the integrity of the administration of justice, and the educational and democracy-enhancing features of open courts” (at para 57) were all linked to the Charter value of freedom of expression. She accepted that the publication of reasons for decision was part of the openness principle, and concluded that: “The publication of decisions is an aspect of the Tribunal’s control over its own process and the information that is included in the Tribunal’s decisions is within the adjudicator’s discretion in providing reasons for those decisions.” (at para 65) She noted that many public values were served by the publication of the Tribunal’s decisions: “The publication of its decisions supports public confidence in the justice system, serves an educational purpose, promotes accountability by the Tribunal for its decision-making, and ensures that the public has the information necessary to exercise the Charter right to freedom of expression.” (at para 66) As a result, she concluded that s. 37 of FIPPA excluded the published decisions from the application of the privacy provisions of the Act. This seems like an appropriate conclusion given the legislative framework. However, it does raise two general points of importance with respect to how the OHRT deals with personal information in its decisions. First, human rights legislation exists in an attempt to provide recourse and redress for those who experience discrimination in contexts which closely affect their lives, such as employment, accommodation, and the receipt of services. The prohibited grounds of discrimination are ones which touch on highly personal and intimate aspects of peoples’ lives, relating to sexual identity, national origin, religion, and mental or physical disability, to provide but a few examples. Personal information of this kind is generally considered highly sensitive. The spectre that it will be published – online – alongside an individual’s name, might be daunting enough to prevent some from seeking redress under the legislation at all. For example, fear that the online publication of one’s mental health information might make it difficult to find future employment could prevent a person from filing of a complaint of discrimination. This would seem to subvert the purpose of human rights legislation. And yet, human rights tribunals have been reticent in granting requests for anonymization, citing the open courts principle. Secondly, this case raises the further issue of how the sensitive personal information of third parties – who were neither witness before the tribunal or complainants to the OHRC – ended up in a decision published online, and for which the Tribunal had refused an anonymization request. The OIPC investigator concluded her report by recommending that the OHRT “continue to apply data minimization principles in the drafting of its decisions and include only personal information necessary to achieve the purpose of those decisions.” (at para 72) In the absence of clear directives for dealing with the online publication of personal information in court or tribunal decisions, and appropriate training for adjudicators, this gentle reminder seems to be the best that complainants can hope for. It is not good enough. One need only recall the complaints to the Office of the Privacy Commissioner of Canada about the offshore website that had scraped decisions from CanLII and court websites in order to make them available in fully indexable form over the internet, to realize that we have important unresolved issues about how personal information is published and disseminated in court and tribunal decisions in Canada. What is the proper balance between privacy and the open courts principle when it comes to providing access to the decisions of administrative tribunals? This is the issue addressed by Justice Ed Morgan in a recent Ontario Superior Court decision. The case arose after the Toronto Star brought an application to have parts of Ontario’s Freedom of Information and Protection of Privacy Act (FIPPA) declared unconstitutional. To understand this application, some background may be helpful. Courts in Canada operate under the “open courts principle”. This principle has been described as “one of the hallmarks of a democratic society” and it is linked to the right of freedom of expression guaranteed by s. 2(b) of the Canadian Charter of Rights and Freedoms. The freedom of expression is implicated because in order for the press and the public to be able to debate and discuss what takes place in open court, they must have access to the proceedings and to the records of proceedings. As Justice Morgan notes in his decision, the open courts principle applies not just to courts, but also to administrative tribunals, since the legitimacy of the proceedings before such tribunals requires similar transparency. Administrative bodies are established by legislation to carry out a number of different functions. This can include the adjudication of matters related to the subject matter of their enabling legislation. As the administrative arm of government has expanded, so too has the number and variety of administrative tribunals at both the federal and provincial levels. Examples of tribunals established under provincial legislation include landlord-tenant boards, human rights tribunals, securities commissions, environmental review tribunals, workers’ compensation tribunals, labour relations boards, and criminal injury compensations boards – to name just a very few. These administrative bodies are often charged with the adjudication of disputes over matters that are of fundamental importance to individuals, impacting their livelihood, their housing, their human rights, and their compensation and disability claims. Because administrative tribunals are established by provincial legislation, they are public bodies, and as such, are subject to provincial (or, as the case may be, federal) legislation governing access to information and the protection of personal information in the hands of the public sector. The applicability of Ontario’s Freedom of Information and Protection of Privacy Act is at the heart of this case. The Toronto Star brought its application with respect to the 14 administrative tribunals found in the list of institutions to which FIPPA applies in a Schedule to that Act. It complained that because FIPPA applied to these tribunals, the public presumptively had to file access to information requests under that statute in order to access the adjudicative records of the tribunals. It is important to note that the challenge to the legislation was limited a) to administrative tribunals, and b) to their adjudicative records (as opposed to other records that might relate to their operations). Thus the focus was really on the presumptive right of the public, according to the open courts principles, to have access to the proceedings and adjudicative records of tribunals. Justice Morgan noted that the process under FIPPA requires an applicant to make a formal request for particular records and to pay a fee. The head of the institution then considers the request and has 30 days in which it must advise the applicant as to whether access will be granted. The institution may also notify the applicant that a longer period of time is required to respond to the request. It must give notice to anyone who might be affected by the request and must give that person time in which to make representations. The institution might refuse to disclose records or it might disclose records with redactions; a dissatisfied applicant has a right of appeal to the Information and Privacy Commissioner. In addition to the time required for this process to unfold, FIPPA also sets out a number of grounds on which access can be denied. Section 42(1) provides that “An institution shall not disclose personal information in its custody or under its control”. While there are some exceptions to this general rule, none of them relates to adjudicative bodies specifically. Justice Morgan noted that the statute provides a broad definition of personal information. While the default rule is non-disclosure, the statute gives the head of an institution some discretion to disclose records containing personal information. Thus, for example, the head of an institution may disclose personal information if to do so “does not constitute an unjustified invasion of personal privacy” (s. 21(1)(f)). The statute sets out certain circumstances in which an unjustified invasion of personal privacy is presumed to occur (s. 21(3)), and these chiefly relate to the sensitivity of the personal information at issue. The list includes many things which might be part of adjudication before an administrative tribunal, including employment or educational history, an individual’s finances, income, or assets, an individual’s eligibility for social service or welfare benefits, the level of such benefits, and so on. The Toronto Star led evidence that “the personal information exemption is so widely invoked that it has become the rule rather than an exemption to the rule.” (at para 27). Justice Morgan agreed, characterizing non-disclosure as having become the default rule. FIPPA contains a “public interest override” in s. 23, which allows the head of an institution to release records notwithstanding the applicability of an exception to the rule of disclosure, where “a compelling public interest in the disclosure of the record clearly outweighs the purpose of the exemption.” However, Justice Morgan noted that the interpretation of this provision has been so narrow that the asserted public interest must be found to be more important than the broad objective of protecting personal information. In the case of adjudicative records, the Information and Privacy Commissioner’s approach has been to require the requester to demonstrate “that there is a public interest in the Adjudicative Record not simply to inform the public about the particular case, but for the larger societal purpose of aiding the public in making political choices” (at para 31). According to Justice Morgan, “this would eliminate all but the largest and most politically prominent of cases from media access to Adjudicative Records and the details contained therein” (at para 32). The practice of the 14 adjudicative bodies at issue in this case showed a wide variance in the ways in which they addressed issues of access. Justice Morgan noted that 8 of the 14 bodies did not require a FIPPA application to be made; requests for access to and copies of records could be directed by applicants to the tribunal itself. According to Justice Morgan, this is not a problem. He stated: “their ability to fashion their own mechanism for public access to Adjudicative Records, and to make their own fine-tuned determinations of the correct balance between openness and privacy, fall within the power of those adjudicative institutions to control their own processes” (at para 48). The focus of the court’s decision is therefore on the other 6 adjudicative bodies that require those seeking access to adjudicative records to follow the process set out in the legislation. The Star emphasized the importance of timeliness when it came to reporting on decisions of adjudicative bodies. It led evidence about instances where obtaining access to records from some tribunals took many weeks or months, and that when disclosure occurred, the documents were often heavily redacted. Justice Morgan noted that the Supreme Court of Canada has already found that s. 2(b) protects “guaranteed access to the courts to gather information” (at para 53, citing Canadian Broadcasting Corp. v. New Brunswick (A.G.)), and that this right includes access to “exhibits entered into evidence, photocopies of all such records, and the ability to disseminate those records by means of broadcast or other publication” (at para 53). He found that FIPPA breaches s. 2(b) because it essentially creates a presumption of non-disclosure of personal information “and imposes an onus on the requesting party to justify the disclosure of the record” (at para 56). He also found that the delay created by the FIPPA system “burdens freedom of the press and amounts in the first instance to an infringement” of s. 2(b) of the Charter (at para 70). However, it is important to note that under the Charter framework, the state can still justify a presumptive breach of a Charter right by showing under s. 1 of the Charter that it is a reasonable limit, demonstrably justified in a free and democratic society. In this case, Justice Morgan found that the ‘reverse onus’ placed on the party requesting access to an adjudicative record to show why the record should be released could not be justified under s. 1 of the Charter. He noted that in contexts outside of FIPPA – for example, where courts consider whether to impose a publication ban on a hearing – the presumption is openness, and the party seeking to limit disclosure or dissemination of information must show how a limitation would serve the public interest. He stated that the case law makes it clear “that it is the openness of the system, and not the privacy or other concerns of law enforcement, regulators, or innocent parties, that takes primacy in this balance” (at para 90). Put another way, he states that “The open court principle is the fundamental one and the personal information and privacy concerns are secondary to it” (at para 94). On the delays created by the FIPPA system, Justice Morgan noted that “Untimely disclosure that loses the audience is akin to no disclosure at all” (at para 95). However, he was receptive to submissions made by the Ontario Judicial Council (OJC) which had “admonished the court to be cognizant of the complex task of fashioning a disclosure system for a very diverse body of administrative institutions” (at para 102). The OJC warned the court of the potential for “unintended consequences” if it were to completely remove tribunals from the FIPPA regime. The concern here was not so much for privacy; rather it was for the great diversity of administrative tribunals, many of which are under-resourced and under-staffed, and who might find themselves “overwhelmed in a suddenly FIPPA-free procedural environment” (at para 103). Justice Morgan also noted that while the Toronto Star was frustrated with the bureaucracy involved in making FIPPA applications, “bureaucracy in and of itself is not a Charter violation. It’s just annoying.” (at para 104) He noted that the timelines set out in FIPPA were designed to make the law operate fairly, and that “Where the evidence in the record shows that there have been inordinate delays, the source of the problems may lie more with the particular administrators or decision-makers who extend the FIPPA timelines than with the statutory system itself” (at para 105). He expressed hope that by removing the ‘reverse onus’ approach, any issues of delay might be substantially reduced. As a result, Justice Morgan found the “presumption of non-disclosure for producing Adjudicative Records containing “personal information” as defined in s. 2(1)” to violate the Charter. Given the complexity of finding a solution to this problem, he gave the legislature one year in which to amend FIPPA. He makes it clear that tribunals are not required to follow the FIPPA request process in providing access to their Adjudicative Records, but it does not breach the Charter for them to do so. This is an interesting decision that addresses what is clearly a problematic approach to providing access to decisions of administrative tribunals. What the case does not address are the very real issues of privacy that are raised by the broad publication of administrative tribunal decisions. Much ink has already been spilled on the problems with the publication of personal information in court and tribunal decisions. Indeed the Globe24hr case considered by both the Office of the Privacy Commissioner of Canada and the Federal Court reveals some of the consequences for individual privacy when such decisions are published in online repositories. Of course, nothing in Justice Morgan’s decision requires online publication, but openness must be presumed to include such risks. In crafting a new legislative solution for adjudicative records, the Ontario government might be well advised to look at some of the materials produced regarding different strategies to protect privacy in open tribunal decisions and might consider more formal guidance for tribunals in this regard. United Food & Commercial Workers Union Local 1518 v. Sunrise Poultry Processors Ltd. The applicant in this case was one of many individuals who had complained to the Office of the Privacy Commissioner (OPC) after finding that a web search for their names returned results containing personal information from court decisions. The applicant, like many others, had sought to have his personal information removed from the Globe24h website. However, the “free removal” option offered by the site could take half a year or more to process. The alternative was to pay to have the content removed. Those who had opted to pay for removal found that they might have to pay again and again if the same information was reproduced in more than one document or in multiple versions of the decision hosted on the Globe24h web site. The first issue considered by the Federal Court was whether PIPEDA could apply extraterritorially to Globe24h.com. In general, a country’s laws are not meant to apply outside its boundaries. Although the Federal Court referred to the issue as one of extraterritorial application of laws, it is more akin to what my co-authors and I have called extended territoriality. In other words, PIPEDA will apply to activities carried out in Canada and with impacts in Canada – even though the actors may be located outside of Canada. The internet makes such situations much more common. In this case, Radulescu engaged in scraping data from websites based in Canada; the information he collected included personal information of Canadians. He then, through his company, charged individuals fees to have their personal information removed from his website. The Court found that in these circumstances, PIPEDA would apply. Justice Mosley found that “journalistic purposes” required something more than making court decisions available for free over the internet without any value-added content. He also noted that the statutory exception applies only where the collection, use or disclosure of personal information is for journalistic purposes and for no other purpose. Here, he found that the respondent had other purposes – namely to profit from charging people to remove their personal information from the website. PIPEDA contains a requirement that limits data collection, use or disclosure by an organization to only where it is “for purposes that a reasonable person would consider are appropriate in the circumstances.” (s. 5(3)). Justice Mosely noted that the Canadian Judicial Council’s policies on the online publication of court decisions strongly discourages the indexing of such decisions by search engines in order to strike a balance between open courts and privacy. This led Justice Mosely to conclude that the respondent did not have a bona fide business interest in making court decisions available in a way that permitted their indexing by search engines. Therefore the collection, use and disclosure of this information was not for purposes that a reasonable person would consider to be appropriate. Having found that the respondent had breached PIPEDA, Justice Mosley next considered the issue of remedies. The situation was complicated in this case by the fact that the respondent is based in Romania. This raised issues of whether the court should make orders that would have an impact in Romania, as well as the issue of enforceability. The applicant was also pursuing separate remedies in Romania, and Justice Mosley noted that a court order from Canada might assist in these objectives. The OPC argued that it would be appropriate for the Court to make an order with a broader impact than just the applicant’s particular circumstances. The number of other complaints received by both CanLII and the OPC about personal information contained in decisions hosted on the Romanian site were indicative of a systemic issue. Justice Mosley was also influenced by the OPC’s argument that a broad order could be used by the applicant and by others to persuade search engines to de-index the pages of the respondent’s websites. Accepting that PIPEDA enabled him to address systemic and not just individual problems, Justice Mosely issued a declaration that the respondent had violated PIPEDA, and ordered that he remove all Canadian court and tribunal decisions that contain personal information. He also ordered that the respondent take steps to ensure that these decisions are removed from search engine caches. The respondent was also ordered to refrain from any further copying or publishing of Canadian court or tribunal decisions containing personal information in a manner that would violate PIPEDA. The applicant also sought damages for breach of PIPEDA. Damages awards have been a weak spot under PIPEDA. The Federal Court has been extremely conservative in awarding damages; this tendency has not been helped by the fact that the overwhelming majority of applications have been brought by self-represented litigants. In this case, Justice Mosley accepted that the breach was egregious, and noted the practice of the respondent to profit from exploiting the personal information of Canadians. He also noted that the level of disclosure of personal information was extensive because of the bulk downloading and publishing of court decisions. Finally, he noted that the respondent “has also acted in bad faith in failing to take responsibility and rectify the problem” (at para 103). In the circumstances, one might have expected an order of damages far in excess of the modest $5000 ultimately ordered by Justice Mosely. This amount seems disproportionate to the nature of the breach, as well as to the impact it had on the applicant and the extensive steps he has had to take to try to address the problem. Even though recovering any amount from the respondent might be no more than a pipe dream in the circumstances, the amount set in this case would seem to lack any deterrent effect and is hardly proportionate to the nature of the breach. Overall, this decision is an important one. It confirms the application of PIPEDA to the collection, use or disclosure of personal information of Canadians that is linked to Canada, even where the respondent is located in another country. It also provides clarification of the exceptions to consent for journalistic purposes and for publicly available information. In this regard, the court’s careful reading of these exceptions prevents them from being used as a broad licence to exploit personal information. The court’s reasoning with respect to its declaration and its order is also useful, particularly as it applies to the sanctioning of offshore activities. The only weakness is in the award of damages; this is a recurring issue with PIPEDA and one that may take legislative intervention to address. The problem, from a privacy point of view is that many court and tribunal decisions contain a great deal of personal information. For example, a decision from a divorce case might provide considerable detail about personal assets. Immigration or refugee determination hearings similarly might reveal sensitive personal information. As Commissioner Therrien noted in his findings, the “highly detailed, highly sensitive personal information” found in the decisions that were the focus of the complaints in this case “could have negative reputation impacts (including financial information, health information, and information about children)” (at para 27). Globe24h offers a fee-based service for removal of personal information. A number of the complainants in this case had paid up to 200 euros to have their information removed from decisions in the database. The Romanian company responded to the investigation by arguing that the Office of the Privacy Commissioner of Canada had no jurisdiction over its activities; and that if it did, Canada’s Personal Information Protection and Electronic Documents Act did not apply because it was engaged in journalistic activities. Alternatively, they argued that they were making use of publicly available information, for which consent is not required under PIPEDA. In this admittedly long blog post, I look at a number of different issues raised in the Commissioner’s findings. You can jump ahead if you like to: Open courts principle and privacy; Extended territorial jurisdiction; Journalism exception; Publicly available personal information; or Crown copyright – the unspoken issue. The open courts principle – which provides transparency for the justice system in Canada – dictates that decision-makers provide reasons for their decisions and that these decisions be publicly accessible. In the old days, decisions were published in law reports or made available for consultation at court offices. Either way, anyone interested in a particular case had to make some effort to track it down. Decisions were indexed according to subject matter, but were not easily searchable by individual names. The capacity to make court decisions publicly available on the Internet has dramatically increased the ability of the public to access court decisions (and, given the high cost of legal services and the growing number of self-represented litigants, it is not a moment too soon). However, public availability of court decisions on the Internet can raise significant privacy issues for individuals involved in litigation. There is a big difference between accepting that a court decision in one’s case will be published in the interests of transparency and having one’s personal information sucked up and spit out by search engines as part of search results unrelated to the administration of justice. The main response to this problem to date (from the Canadian Judicial Council’s 2005 Model Policy for Access to Court Records) has been for courts to require the use of technological measures on court websites (and on websites such as CanLII) to prevent search engines from indexing the full text of court decisions. This means that those searching online using a particular individual’s name would not find personal details from court proceedings caught up in the search results. However, these licence terms are only imposed on entities such as CanLII. The general copyright licences on court websites place no such restrictions on the reproduction and use of court decisions. Of course, placing restrictions on the searchability/usability of published decisions can also be a barrier to their innovative reuse. A better approach – or at least a complementary one – might be to be more restrained in the sharing of personal information in published decisions. This latter approach is one recommended by the Office of the Privacy Commissioner of Canada for administrative tribunals. It is unevenly adopted by courts and tribunals in Canada. While the open courts principle and how Canadian courts and tribunals implement it are relevant to the problem in this case, the Commissioner’s decision does not address these issues. The complaints focussed on the activities of the Romanian company and not on how courts and tribunals manage personal information. Nevertheless, this issue is, to a large extent, at the heart of the problem in this case. This approach is consistent with that taken by the Office of the Privacy Commissioner of Canada since the Federal Court handed down its decision on this point in Lawson v. Accusearch Inc. Of course, taking jurisdiction over a party in another country and being able to enforce outcomes in accordance with Canadian law are separate matters. In any event, the Privacy Commissioner is relatively toothless even within Canada; in the case of offshore companies any positive results depend largely upon a respondent’s willingness to cooperate with investigations and to change their practices with some gentle nudging. In this case, there seems to be a change of practice on the part of Globe24h, although the extent and durability of this change remain to be seen. I have previously written about the rather broad and open-ended exception to the application of PIPEDA to the collection, use or disclosure of personal information for “journalistic purposes”. Journalism is capable of a fairly broad interpretation, and in an era of disintermediated information and commentary, a broad approach to this exception is warranted. This may be even more so the case given the Supreme Court of Canada’s recent admonition that privacy laws must be balanced with the freedom of expression. However, an overly broad approach could exclude large swaths of activity from the scope of PIPEDA. In this case, Globe24h argued that by providing a database of legal information it was entitled to benefit from the journalistic purposes exception. The Commissioner adopted a definition of “journalism” put forward by the Canadian Association of Journalism (CAJ). According to this definition journalism is an activity that has as its goal the communication of information, in a format that has “an element of original production” and that “provides clear evidence of a self-conscious discipline calculated to provide an accurate and fair description of facts, opinion and debate at play within a situation.” (at para 52). The definition is interesting, but it may be under inclusive when it comes to balancing freedom of expression and privacy. This remains an open question. Using this definition, the Commissioner found that the database of public records compiled by Globe24h was not journalism. In particular, he was of the view that the purpose of the database was to generate revenue from different means, including charging individuals who wish to have their personal information removed. He also found that the database did not embody the “original production” required in the CAJ’s definition, and concluded that “Globe24h is republishing information already available online through Canadian court and tribunal websites in a manner that enables the information to be located by search engines, which would not otherwise be possible, so as to profit from individuals’ desire to have this practice stop.” (at para 66). While there may be an argument that this website does not serve journalistic purposes, the analysis here relies heavily upon the Commissioner’s conclusion that the site’s primary motivation is to derive revenue from individuals who are concerned about their privacy. It is not clear whether, without that element, he would have found that the journalism exception applied. The importance of this poorly worded exception – and the potential of narrow interpretations to conflict with the freedom of expression – leaves one wishing for clearer guidance. Globe24h also argued that it made use of publicly available personal information. PIPEDA expressly permits the collection, use and disclosure of such information without consent so long as it is used for the purposes for which it was collected and made publicly available. According to the Commissioner, the purpose for which the court decisions were made publicly available was “to promote transparency in the judicial system” (at para 93). He also went on to state that “the purpose for publishing court findings online does not include the association of such findings with individuals’ names in online search results.” (at para 92). The point here, I think, is that the search engine indexing shifts uses of this information away from transparency and towards data mining or snooping; the latter are not consistent with the purposes for which the information was made publicly available. However, it should be noted that in this case, the assessment of purpose drifts into how the information might be accessed or manipulated by third parties –not by the respondent. This is rather tricky territory. It is a kind of secondary liability in the data protection context: court decisions are made publicly available to anyone around the world; the respondent creates a database that aggregates court decisions from multiple jurisdictions and makes them available. In doing so it enhances the searchability of the decisions by freeing them from technological restrictions. Has it done anything to take it outside the exception? Is the possibility that this new searchability might lead to improper uses of the information by others enough to find that the use does not fall within the exception? My point here is that the problem of excessive personal information in published court decisions seems to be pushed onto those who publish this information (and who thus facilitate the open courts principle), rather than resting with the courts who perhaps should be more careful in deciding what personal information is required to serve the open courts principle and what information is not. In Canada, court and tribunal decisions are covered by Crown copyright. This lies behind the courts’ ability to dictate licence terms to those who publish these decisions. 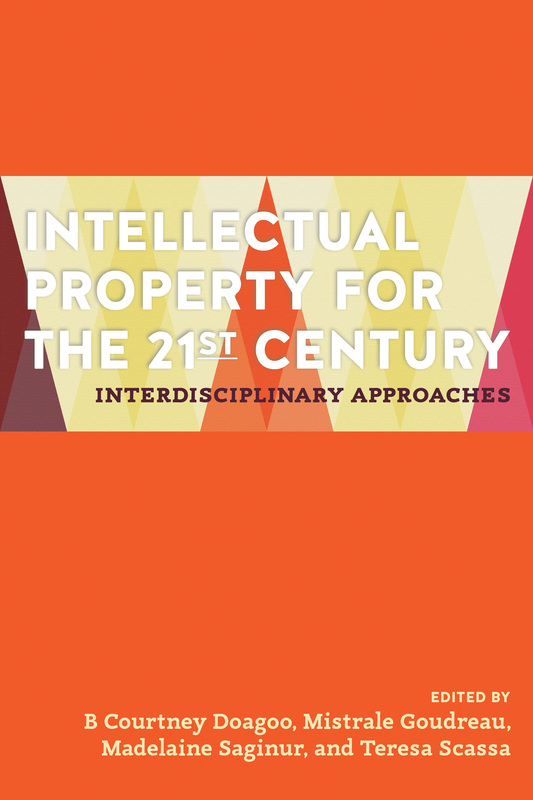 Recent amendments to the Copyright Act also make it an infringement to circumvent technological protection measures on copyright protected works. Had the Romanian website been publishing court decisions in contravention of the user licence provided by court websites or circumventing court-mandated technological protection measures that blocked the indexing of the court decisions by search engines, then the courts themselves might have sought takedown of these materials or insisted upon compliance with their licence terms. These terms, however, do not appear in the licence for federal court decisions, for decisions of Ontario superior courts, or for decisions of the BC Supreme Court – and this is just a sample. Whether courts should use copyright restrictions to protect privacy values is an interesting question, particularly in an era of increasingly open government. Whether it is realistic or feasible to do so is another good question – if it is not then the privacy issues must be addressed at source. In any event, it may be time for the CJC to revisit its digitally archaic 2005 policy. The individuals affected by Globe24h turned to the Privacy Commissioner for help when they experienced privacy invasions as a result of the company’s activities. They found a sympathetic ear, and the Commissioner may have achieved some results for them. One can ask, though, where the courts and tribunals have been in all of this. As noted earlier, they should take the lead in addressing privacy issues in their decisions. In addition, while Crown copyright may be an anachronism with the potential to limit free speech, as long as the government clings to it in the face of calls for reform it might consider using it on occasion in circumstances such as these, where inadequate measures designed to protect privacy have failed Canadians and something more is required. A news story from January 2015 puts squarely into focus some of the challenges of privacy and open government. The story centred on the Canadian legal information website CanLII, although the privacy issues it raises relate more directly to how government institutions protect personal information when seeking to comply with open courts and open government principles. 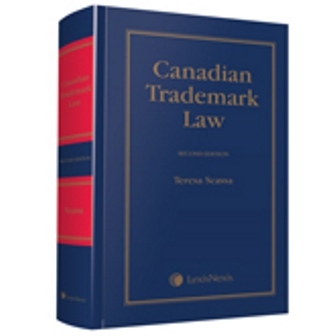 CanLII, a non-profit corporation that is managed by the Federation of Law Societies of Canada, is a tremendously important information resource in Canada. Since its inception, it has become instrumental in ensuring that Canadians have free online access to primary Canadian legal materials. It follows in the tradition of other Legal Information Institutes in the United States, Australia and Britain/Ireland. CanLII includes all Canadian and provincial statutes and regulations, case law from all federal and provincial courts, and case law from a growing number of administrative tribunals. Prior to CanLII’s appearance on the scene, these materials were found either on the shelves of law libraries, or were accessible through commercial databases that charged fees for access. In essence, they were not easily accessible to Canadians without significant effort or cost. In a legal system in which “ignorance of the law is no excuse”, and in which an ever-growing number of Canadians have no choice but to represent themselves in legal proceedings, this kind of public access seems essential. CanLII’s efforts to liberate these legal materials make an interesting story with plenty of open government lessons. (I have written about the evolution of CanLII here,). The news story that broke in January related to a Romanian website that had scraped the content from CanLII and reposted it to another website hosted in Romania. In doing so, it allowed for the circumvention of technological measures put in place by CanLII that prevented Google from indexing terms found in court and tribunal decisions. These measures were put in place by CanLII largely to protect the privacy of individuals whose names and personal information may feature in court decisions. By contrast, the Romanian materials are fully searchable. This situation raises several interesting issues of privacy and open government. At first glance, it may look like a failure of CanLII’s efforts to put into place effective technological measures to protect individual privacy. (CanLII has reportedly upgraded its technological protections, although the cases initially scraped from the site remain out of its control). But CanLII is really only the second line of defence. The first line of defence, is, of course, the courts and tribunals themselves that provide case law to CanLII as well as increasingly through their own websites. The problem of “public personal information” is a thorny one, and it arises in this context as well as in many others. Public personal information is information that is legally public (government registry information, for example, or information in court decisions). While this information has long been public in nature, its widespread, immediate and limitless distribution was never contemplated in the pre-internet age in which decisions to make it public were made. Thus, there are important privacy issues surrounding how and under what conditions such information is made public, as well as how the public interest in openness should be balanced against individual rights to privacy in an internet and big data age. In Canada, the open courts principle means that the proceedings of courts are open to public scrutiny – it’s a fundamental principle that justice must not only be done, it must be seen to be done. This means not only that, barring exceptional circumstances, court and tribunal hearings are public, as are the decisions reached in those cases. In fact, not only does this serve transparency and accountability values, the publication of court and tribunal decisions allows lawyers and members of the public to consult these decisions to better understand the law, and to learn how courts and tribunals interpret and apply legislation. In exceptional circumstances, courts may issue publication bans in relation to certain court hearings; courts may also order certain personal information (including, in some cases, names of individuals) redacted from court decisions. For example, in decisions involving young offenders, only initials are used. The names of victims of sexual assaults may also be redacted. In the pre-internet dark ages, the redaction of names and other personal information from court decisions was less significant because these decisions did not circulate widely. Few members of the public, for exmpale, were curious enough to go down to a law library to trawl through case reporters in the hope of spotting the name of someone they knew. Internet access and online publication of decisions changes things significantly. Fully searchable databases of court and administrative tribunals can leave individuals substantially exposed with respect to a very broad range of personal information. Decisions in divorce cases may include a detailed account of assets and liabilities, and may also recount grim details of personal conduct. Decisions of workers’ compensation tribunals may contain significant amounts of personal health information; the same can be said of human rights tribunals, pension and disability tribunals, and so on. In many civil cases where plaintiffs allege damages for anxiety, stress, or depression caused by the harm they suffered, courts may engage in a detailed discussion of the evidence presented. In personal injury law suits, there may be considerable discussion of personal health information. This is just a sample of some of the personal information that may be found in court decisions. In digital form, this information is available to nosy neighbors, malefactors, and data miners alike. Courts and tribunals publish their decisions in conformity with the open courts principle. Online publication, however, raises significant privacy concerns that must be balanced against the open courts principle. The Canadian Judicial Council has considered this issue, and has issued guidelines for courts as to how to prepare decisions for online publication. The Office of the Privacy Commissioner of Canada has also weighed in on the issue with respect to the practices of federal administrative tribunals. The problem is, of course, that these guidelines are not mandatory, and, as Christopher Berzins has noted, there no consistent approach across the broad range of courts and tribunals in Canada. Further, in some cases, there may be genuine debate about whether certain details are required in order to meet the open courts principle. For example, if we are to understand why a certain award of damages is made in a particular case, we need to understand the nature of the evidence presented, and how the judge assessed that evidence. So much for the first line of defence. Ideally, courts and tribunals, prior to making decisions available for online publication, should address privacy issues. Many do, some do not. Not all do so to the same extent or in the same way. In some cases, the open courts principle will outweigh privacy considerations – although whether technical or other solutions should be instituted is an excellent question. The fact remains that much personal information ends up being published online through important resources such as CanLII. CanLII itself has introduced a second line of defence – technological measures to ensure that the personal information is not accessible through search engines. What the story about the Romanian website has taught us is that this line of defence is entirely porous. It has also taught us that as more and more public personal information is made available in formats that allow for easy dissemination, greater attention needs to be paid – by courts and by governments at all levels – to the challenges of public personal information.